EA has listed the system requirements for the PC version of Star Wars; Battlefront, and as it turns out – the requirements have been adjusted after the closed beta. I wanted to make this fairly clear for anyone who is wondering about the min spec for Star Wars Battlefront. The Alpha min spec requirements are for the Alpha only. These are not final and should not be taken as final. Now if you did get an Alpha invite and want to participate. You will need a system that meets the minimum requirements. The closed beta required a minimum amount of 6GB RAM, and at least an Nvidia GEFORCE GTX 680 or AMD Radeon HD 7970 with 2GB Memory. EA has now published the minimum and recommended requirements on the EA Origin website for Star Wars: Battlefront. For the final game, EA seems to have changed around the requirements somewhat. Most noteworthy is the increase in amount of minimum RAM, while lowering the minimum graphic card requirements to a GTX 660 or Radeon HD 7850. The recommend specs for the game are as follows and sound fairly reasonable. I guess most fans won’t need to rebuild their entire rig to be able to meet these requirements. Everett did add that system requirements might end up being the same as Battlefield Hardline or even Battlefield 4. I guess the beta proved otherwise, as the specs require a hell of a lot more power. 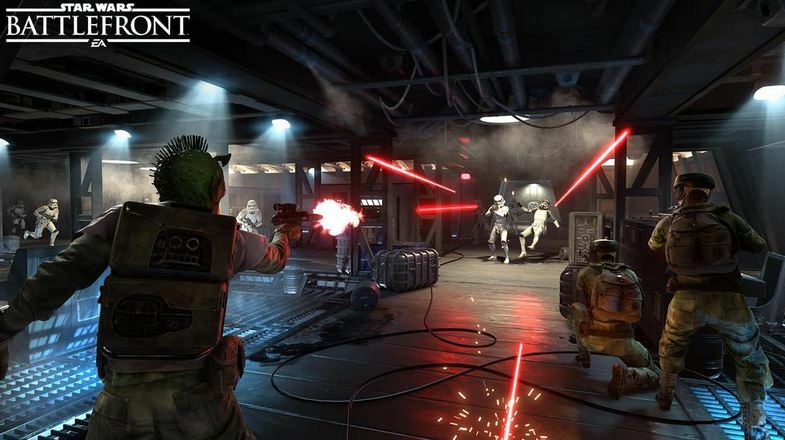 Star Wars: Battlefront releases on November 17th, for PC, Xbox One and PS4. For those who can’t wait – there will be an open beta starting on October 8. The open beta will feature offline & splitscreen co-op.